Real interface "On The Border Of Reality And Virtuality" will give you a great opportunity to communicate about the new meaning and orientation of contemporary photograph which has been changing its format and content by focusing on the "space" of knitted relationship. While existing photographs adhered to a specific object in the view of materiality, nowaday works start to shed their lights on "space". 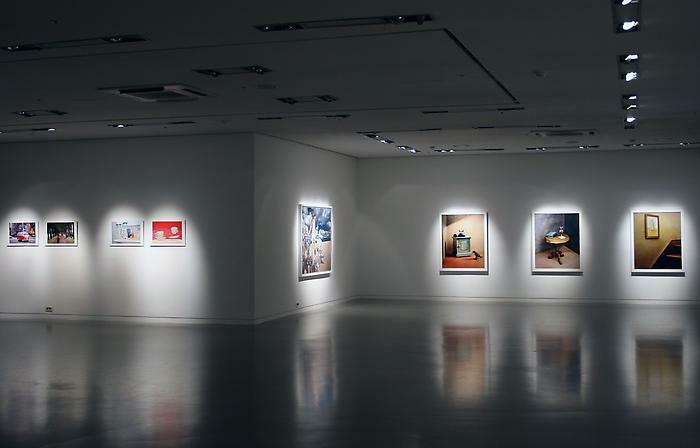 This exhibition features innovative works from 8 vigorous photographers(Kim Do Kyun, Kim In Sook, Ryu Ho Yeol, Im Sang Bin, Lee Won Chul, Yoo Hyun Mi, David Lachapelle, Hiroshi Sugimoto), who are breaking from the conventional objet, portrait and landscape, and heading toward the intersecting space of reality and virtuality. In this exhibition, the photographers let their imagination jump and run through the spaces between real and fake, concept and symbol, fiction and nonfiction. Their photographs show various visual narratives on the border of existence and nonexistence. Kim In Sook creates narratives such as a film-making by searching her shooting location carefully. Kim Do Kyun shifts actual space into virtual image with his vivid imagination. Lee Won Chul depicts the identity of our society and ourselves living in a mixed world of the real and the ideal. Yoo Hyun Mi and Ryu Ho Yeol convert images of routine life to those of surreal situation. David Lachapelle's works give us a chance to ponder upon the meaning of existence and nonexistence in the contemporary times. Hiroshi Sugimoto's black and white photographs draw reminiscences deep down inside a human being's memory. The featured artists who apply new perspectives and methods on their works show that photography is not anymore a matter of 'taking' but a matter of 'making'. 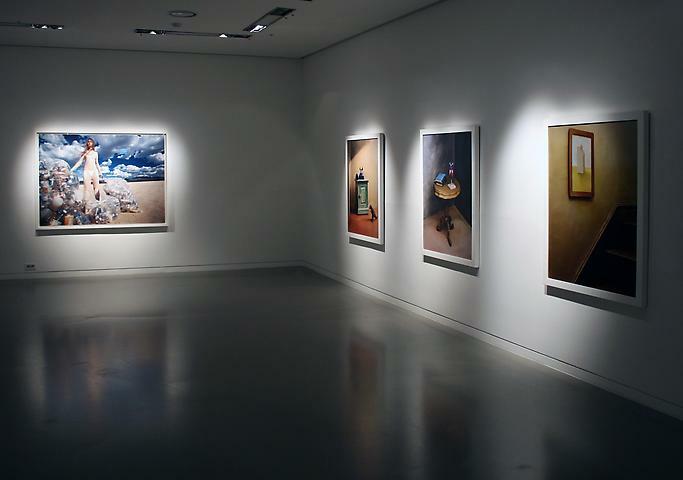 It is great pleasure to observe the fresh possibilities of photographic expression as a fine art. Through this exhibition full of various narratives and visual tensions, you will be able to appreciate the new prospect of contemporary photographs.